Wellington Mayoral candidate Jo Coughlan today confirmed her commitment to leading a revitalisation of the Civic Square precinct if elected mayor and having the Wellington Town Hall refurbished as a priority as part of this. Coughlan also said she wanted to make her position very clear on the Town Hall if elected Mayor. 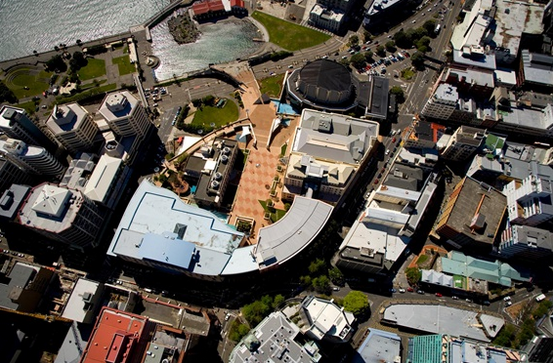 "There are few better examples of the need for new effective leadership at the council than the Wellington Town Hall. “There are few buildings in Wellington that are more important to our built heritage than the Town Hall. I will ensure that work gets underway as an immediate priority to ensure the building is safe and remains a long term asset in our community. “For several years now indecision has reigned. A range of options are being considered to make this project as affordable as possible most recently proposals that involve Victoria University and the NZ Symphony Orchestra. However it’s time to get on and make a decision. “How the Town Hall project is funded is important but failure to act has, on the face of it, cost ratepayers tens of millions of dollars in extra costs with original estimates of around $46 million escalating closer to $80 million today. “This part of the city has enormous potential. Rather than look at one piece at a time, I want to take a strategic approach over the whole Civic Precinct so that we get the best long term outcome for the city and ratepayers, and ensure that we support our music and arts appropriately for a Capital City." Original generation time 0.9310 seconds. Cache Loaded in: 0.0680 seconds.